This year the Eurovision Song Contest was held in Malmö, Sweden. Being held in Sweden of course led to many ABBA references. During the first semi-final host Petra Mede informed the audience that one of the slogans considered for the contest was “Thank you for the music”. But it was in the Grand Final that the ABBA references flowed thick and fast. During the interval song ‘Swedish Smörgåsbord’, a very funny song sending up Swedish stereotypes sung by host Petra Mede, Mamma Mia!, ‘Waterloo’, ‘Super Trouper’ and ABBA are all name-checked. 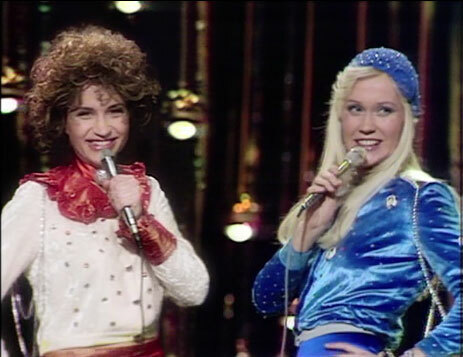 In the final film package of the history of the Eurovision Song Contest, Petra is inserted into footage of ABBA’s performance of ‘Waterloo’ in 1974, dressed as Frida. Finally, at the end of the interval Sarah Dawn Finer sang a stripped-down version of ‘The Winner Takes It All’, which was released as a single on the day of the Grand Final. For the opening of the Eurovision Song 2013 Contest in Malmö, Sweden on May 18th Benny Andersson composer a new Eurovision anthem, with lyrics by Björn Ulvaeus, in collaboration with Swedish DJ an producer Avicii. ‘We Write The Story’ was written to tie in with this year’s Eurovision slogan We Are One, and even included the slogan at the end. The song has all the hallmarks of a Benny composition. Listeners may even hear hints o the more anthemic moments of some later ABBA songs. But that’s to be expected, thy wer composed by the same man, after all. 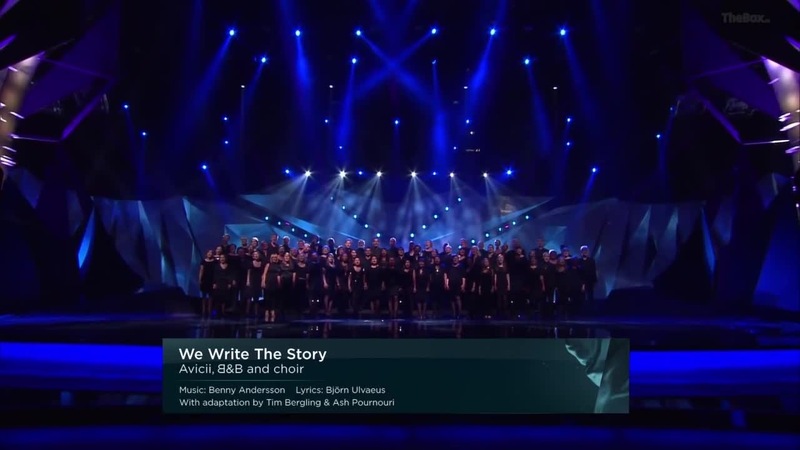 ‘We Write The Story’ was released exclusively in iTunes on the morning of the Grand Final, credited to Avicii & B & B And Choir. Over the past twelve hours ABBA fans everywhere have suffered (or is that enjoyed) an overload of Agnetha! First, there was her amazing appearance the G-A-Y club in London on Saturday night, where she appeared on stage for a few minutes to a full and enthusiastic house. 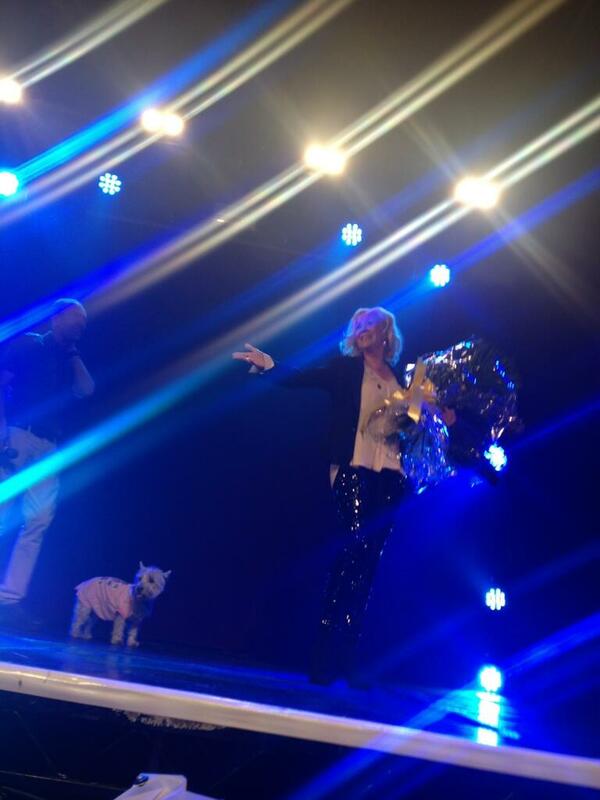 Ten lucky audience members got the chance to meet Agnetha afterwards and get autographed singles. Most surprising and poignant was an impromptu performance as she left the stage. See all the fun here. Then on Sunday night the Australian TV programme Sunday Night screened a two-part story on Agnetha’s comeback and the ABBA story, featuring an extensive interview with Agnetha plus an interview with Björn. On top of the televised story, the show’s website has several clips that weren’t included in the broadcast. The whole show is now available online.